5 Tips for Satisfying Your Sweet Tooth AND Still Build Your Six Pack!… – Six Pack Abs Guide! Ok…Everyone knows that one of the most important tools for developing your six pack is to burn fat and eat healthy. It doesn’t matter how big your ab muscles are – if they’re buried within layers of fat, it’s going to be impossible for you to get the definition that you want. But changing your eating habits to help burn fat doesn’t need to be some huge chore. You don’t need to completely deny your love of tasty, sugary things – in fact, you SHOULDN’T, because avoiding those foods altogether leads to binging, which is way worse for your fat burning power than eating a piece of candy once in a while. What you can do is look for healthier ways to satisfy your sweet tooth so that even when you do add that extra sugary taste to your diet, you won’t experience as many consequences. Here are several ways to keep eating some of the foods you love. Dark Chocolate is not just a deliciously rich form of chocolate. 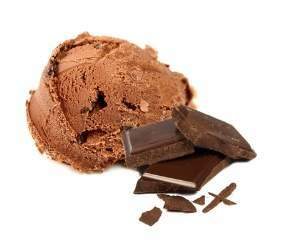 According to the Journal of Proteome Research, dark chocolate also contains antioxidants that reduce the stress hormone known as cortisol. Cortisol has been shown to be one of the major causes of belly fat gain, so while dark chocolate is satisfying your sweet tooth, it may also be helping reduce your fat buildup. 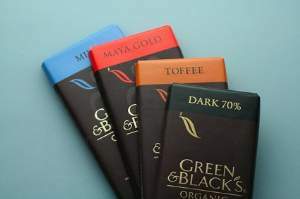 Choose organic dark chocolate made from 70, 80, or even 90% Cocoa. That will ensure it has fewer of the bad ingredients like refined sugars and chemicals. Try to limit yourself to only 1 to 1 ½ ounces too. Make sure you’re only eating DARK chocolate. Milk chocolate and white chocolate are much worse for your body and your ability to develop six pack abs. Not all sugar is created equal. Whole fruits and berries may have sugar, but that sugar is natural, giving the fruits a naturally sweet flavor that is tasty and good for you. 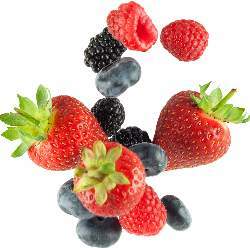 Whole fruits and berries are also full of vitamins and antioxidants – both of which are a good part of a balanced diet. They also contain fiber, which is a hugely important tool for long term fat burning. Whole fruits and berries really do satisfy most sweet cravings. Buy some fruits at your local market, and you’ll find that you no longer crave the sugary foods you did before. 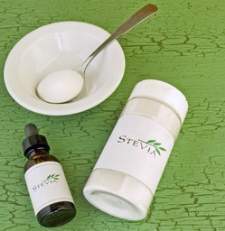 Stevia – Stevia is a natural herb that is very sweet, much like sugar. In fact, it takes less Stevia to make the same amount of sweetness as sugar. It has no calories– although it can have a slight aftertaste if you use too much. Using it in foods that need that extra burst of sweetness is a good way to cut some of the bad processed sugars out of your meal. Agave – Agave (pronounced A-Ga-Vee) is an extract from a Mexican cactus. Agave is very sweet, and has several similarities to honey. Agave is low on the glycemic index too, which makes it a much better alternative to traditional sugars. Sugar alternatives can provide you with the same sweetness of sugar without affecting your ability to earn your six pack abs. Sometimes, cheating on your diet can be a good thing. Cheating on your diet up to 1 to 2 times per week can help you fight the urge to go on sugar binges. You will want to make sure that you have a little bit of “bad sugar” food once in a while to keep yourself from wanting it too much in the future. Define Your Portions Up Front – Don’t just plop a pint of mint chocolate chip ice cream in your lap and start spooning away. 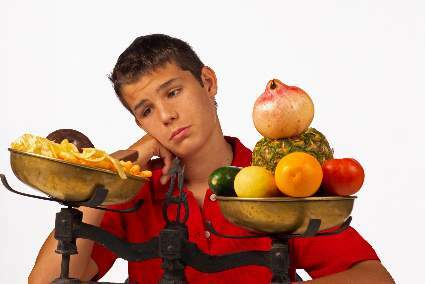 Decide on the amount of before starting to eat. This will help you avoid that “just one more bite” temptation. Stop Early to Keep Satisfied – You only need a few bites to satisfy that craving. Don’t eat more than you need just because you’re choosing to cheat that day. Also, by limiting the amount you cheat with, you’ll reduce your craving for cheating over time. Try to Choose “Healthy” Junk Food – Try to find junk food that isn’t too terrible for you. Organic junk food made from as many natural ingredients as possible is a good start. It’s okay to get that extra bit of sugar in your junk food, but avoid all of the foods that have other ingredients that you neither crave, nor need. Eat Right After Your High Intensity Workout – After a high intensity muscle building workout, your body is in massive fat burning mode. Your body is craving calories, so if you’re ever going to cheat, do it right after you have worked out your muscles hard. What’s neat is that the spike in insulin you get from cheating may actually help your recovery! Note: This is only true for muscle building workouts. Cheating after cardio-only workouts just adds back the calories you burned. Cheating isn’t the worst thing in the world for your diet. If you do it right, it will help you avoid major binges and may even help you manage your weight better. It cannot be stressed enough how important it is for you to build muscle. Building muscle boosts your metabolism, and is the best way to achieve long term fat loss. So if you’re going to have some sugary foods, try your best to keep on building your muscle. The more muscle you build, the more you will still be in continuous fat burning mode, reducing the effects of those sugary foods. Building six pack abs doesn’t need to be all work and no play. There are ways that you can still satisfy your sweet tooth AND build the abs you’ve always wanted. Just make sure you satisfy your sweet tooth the right way, to avoid any fat gain and keep your body at its best at all times.